• Responsible to the Trust board for managing all Trust business and swift implementation of decisions. • Directing Trust Staff: Trust Administrator, Maintenance Manager, Maintenance Staff of one (plus one seasonal). • Ability to work flexibly within a small team and willingness to take on the full range of office duties as required. • Knowledge of Quickbooks and office systems. • Managing the Trust estate, including several listed historic buildings. 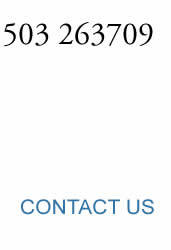 • Project development, and delivery, for the estate and management systems. • Identifying potential funding streams, writing bids and building positive relationships with funders. • Understanding property leases and instructing the Trust’s professional advisors. • Good HR skills and knowledge of current employment law. • Ensuring the timely submission of reports and accounts for audit, tax and Charity Commission requirements. • Working positively with the other key organisations and advancing our charitable objects. • Salary £27,000-£30,000 (incl. benefits) pro rata commensurate with experience, 3-5 days per week negotiable. Written application and CV to be sent to: Phil Gibson, Chairman, East Looe Town Trust, The Guildhall, Fore Street, Looe PL13 1AA by Friday 3rd May 2019. Please mark the envelope as Strictly Addressee only. 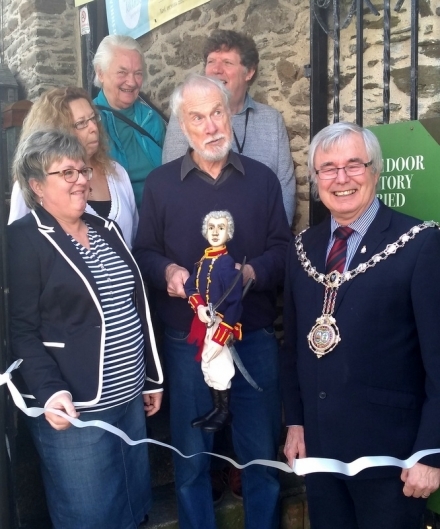 Mayor, Armand Toms (pictured with Museum staff) said how pleased he was with the success of the museum and what a credit the 19 volunteer staff were, and its success was down to their fantastic effort. The museum has a fascinating collection of artefacts which give an insight into the Town’s history over the ages. Entry fee has been held at £2.00 per adult with children under 18 free entry. Petra Stephenson, Manager of the Museum volunteer group, said how pleased she and her fellow volunteers are in their success and being able to tell stories from Looe and involving the whole community. Petra said ‘The museum’s share of a recent £700k grant (£135,000) we won will be used to towards an immersion reality project in conjunction with Falmouth University - we look forward to being able to use the Reality possibilities in the Museum to enhance our artefacts and stories of Looe’. Last year the Museum attracted approximately 5,000 visitors and over 1,000 children. The museum will remain open until mid-November. Opening hours are Monday to Friday 11.00am to 4.00pm. Weekend opening is 11.00am to 1.30pm, longer if there are sufficient volunteers. 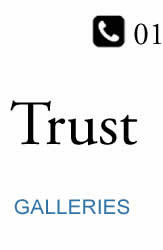 As spring and the beginning of the holiday season approaches, the Trust is busy preparing. We are about to invest in a new tractor to help us maintain the Town Beach in peak condition for residents and visitors. This is just one of the many things the Trust spends its funds on: we are looking at further repairs to the Guildhall in the next few years and ways to make encourage more use of the wonderful chamber and other rooms, as well as expanding the project to look at a long-term use for the Old Lifeboat Station and Watchtower. We will keep you up-to–date as these develop. Another investment we have recently agreed is to improve and renew the signage on the seafront, so those using the beach and seafront will have clear information on how to use those areas safely and so everyone can enjoy them. We will also be giving our workshop a much-needed facelift, with roof repairs and images of Looe in the windows. We will also give our faithful white pick-up a makeover, with a wrap to show she belongs to the Trust and advising against feeding the local seagulls, so they don’t develop bad habits and cause problems for people. The Trust allows many organisations to use our land and facilities, and this year will see part of the Looe Live festival back on the beach, holiday activities run by the United Beach Mission, Looe Lions Easter Egg Hunt and Cinema on the Beach, to name but a few. We look forward to seeing lots of people enjoying the wide range of activities this year and hope the weather will be kind. Our wonderful maintenance team – Antony and Bill – are doing some work on the Wooldown to support our ongoing project to encourage more long-horned bees (a rare species), and other work to encourage more biodiversity by removing dead trees, unwanted buddleia and saplings that threaten to crowd out the undergrowth in the wooded area on the edge of Barbican Hill. The wood they are cutting down will be made into log habitats in the woods for invertebrates and small mammals. In a bid to reduce the waste and bulky items (polystyrene boards, buckets and spades etc) from going into our rubbish bins, our Maintenance Manager had the bright idea of putting cages onto the seafront for visitors to use: one for broken items and another for things they don’t want to take home, but are happy to leave for others to use. We hope this trial will prove successful and encourage everyone to make use of it. Our lovely museum is about to open its doors again – on 1st April – with new exhibits and far more information and history on our new screens, with funds generously awarded by the Co-op Community Fund and the South West Museums AIM – both of which our volunteers were proud to win last year. Finally, our website https://www.eastlooetowntrust.co.uk has had an update which includes daily information on Looe weather, tides and bathing water conditions. The role involves manual work, so applicants must be physically fit. The successful candidate will work as part of a small team maintaining the beach, seafront and other Trust properties. This is a public-facing role, so candidates must be approachable and represent the Trust and Looe positively. There is the potential for the period to be extended, depending on weather conditions. This role could be done by one or two people over the period, if other commitments did not allow for the whole period. 1. The tasks would cover removal of rubbish from the seafront bins, Wooldown and clearing any rubbish found on other Trust properties. 2. The successful candidate/s would be contracted to work 6 days a week – with Tuesday as a rest day. 3. The work hours would be 7:00am – 1:00pm. The wage offered would be in excess of the minimum wage. This will not involve driving, so applicants will have no requirement for a licence. There will be a trial period of 1 week during the Easter Holidays – during the week beginning 15th April 2019, although there is some flexibility on precise dates. The Trust would welcome enquiries in person, vie telephone or email from those who are interested.